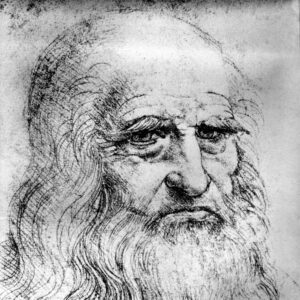 As I wrote in my August 27th La Voce article, “Leonardo Da Vinci Still Making Headlines” Leonardo was born in the Tuscan hill town of Vinci on April 15, 1452, the oldest illegitimate son of a promiscuous wealthy notary and a peasant. He died at 67 on May 2, 1519 near Amboise in France where he’d lived his last three years as a guest of the French King Francis I.
Mona Lisa and St. John the Baptist. Now France and Italy are at loggerheads over who has the right to host the celebrations for the 500th anniversary of this Renaissance genius, which have been in the planning stages for two years. In 2017 Italy agreed to lend all of its Da Vinci paintings to a blockbuster exhibition “Leonardo da Vinci, originally to be held from May 2, 2019-February 24, 2020 at the Louvre, which already owns five or the largest number in one museum: Mona Lisa, the first version of The Virgin of the Rocks, La Belle Ferronnière, The Virgin and Child with St. Anne, and St. John the Baptist (According to Wikipedia, Italy is home to 7; to my calculations the same, and according to journalist John Hopper two: The Last Supper and the trompe l’oeil decoration in Milan’s Castello Sforzesco’s Sala delle Asse, neither of which can travel as they are parts of structures. Instead, according to my calculations and Wikipedia’s France owns six in the Louvre; and to Hopper’s three). 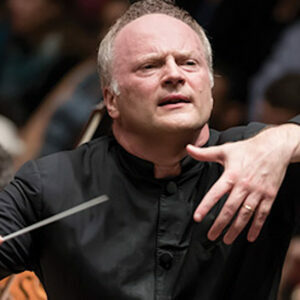 In return for Italy’s generous loan France promised to push back the inauguration of its blockbuster until October 24, in order for Italy to inaugurate the festivities and set up its own exhibitions in the spring of 2019. 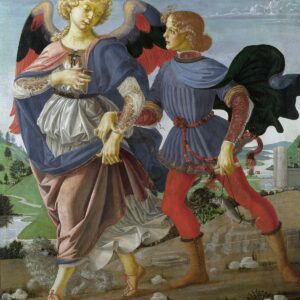 In addition France promised to lend all its paintings by Raphael to another blockbuster monographic exhibition to be held at Rome’s Quirinal Palace’s Scuderie to celebrate the 500th anniversary of Raphael’s death in 2020. 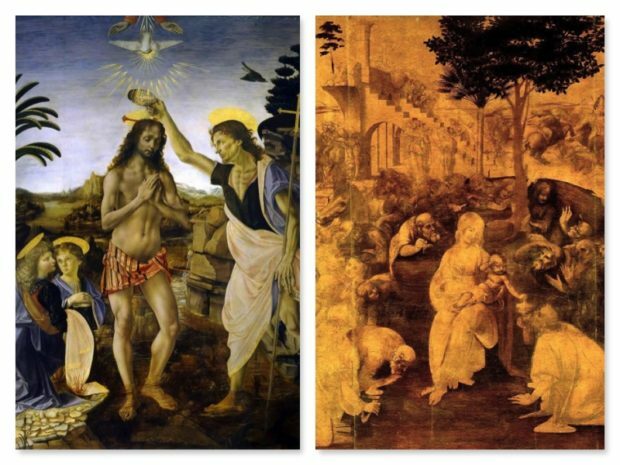 The Baptism of Christ and The Adoration of the Magi. On the bright side the Gallerie dell’Accademia in Venice has agreed to lend six Leonardo drawings, and the National Gallery of Parma, which considers Borgonzoni’s protests a total Italian soap opera because Italy could and should have organized a major Leonardo show of its own, is lending Leonardo’s Scapigliata, the only major work going [to the Louvre from Italy] so far.” The only other Leonardo painting in Italy not already mentioned here is The Portrait of a Musician in the Pinoteca Ambrosiana in Milan. 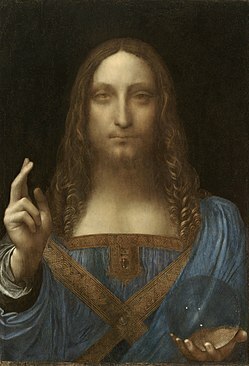 Another Leonardo on display in Paris will be his Salvatore Mundi bought by the United Arab Emirates last year for over US$ 450 million at auction, the highest amount ever paid for a work-of-art. It is also the only Leonardo now housed outside Europe and the United States, Abu Dhabi’s franchise of the original Louvre. Of the several other Leonardo paintings in Edinburgh, Krakow, London, Munich, St. Petersburg, Vatican City and Washington D.C. I have not found confirmation or denial of their participation at the Louvre. Although Italy lost its opportunity for a Leonardo blockbuster, it has already opened two Leonardo exhibitions in October. On display until January 20, at the Uffizi in Florence is Leonardo’s Codex Leicester: “Water as a Microscope of Nature”. Among other topics its 72 pages, handwritten by Leonardo between 1504-08, discuss in notes, and with drawings and sketches, the swirling movement of water, its uses and its capacity for destruction and how to control it, fossils, as well as the material nature of the moon and moonlight. 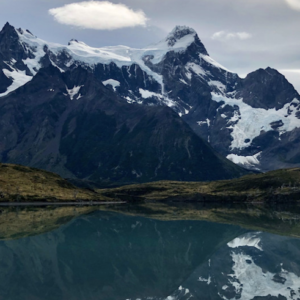 It’s being loaned by Bill Gates who bought it in 1994 for over US$ 30 million. It has taken over two years to prepare and set up the innovative technology that allows visitors to leaf through the Codex’s individual pages on digital screens. Also on loan here are the codex De moto et misura dell’acqua from the Vatican Library, the codex Sul volo degli uccelli from the Royal Library in Turin, and two precious folios from the British Library’s Codex Arundel showing the levels of the Arno as it flows through Florence. On display until January 31, in the Museum of the Last Supper are 10 preparatory drawings in ink or in red or black pencil for Leonardo’s Last Supper on loan from the Royal Collection Trust. Seven of the ten drawings are certainly by Leonardo, two the critics attributed to Cesare da Sesto and one to Francesco Melzi. The first of the two exhibition cases contains preparatory sketches of the whole painting. The second contains drawings of details: St. Peter’s right arm, St. John’s hands, and St. Bartholomew’s left hand, for examples. Below follows a history of the painting from its start to today. The Last Supper theme was a traditional one for refectories, although this room wasn’t a refectory at the time Leonardo painted his on the north wall. His represents The Last Supper as told in the Gospel of John 13:21, when Jesus announces that one of his twelve Apostles would betray him before sunrise, but does not reveal which one. We know that Leonardo studied earlier paintings by Ghirlandaio and Andrea del Castagno with traditional iconography that focuses instead on the moment of the traitor’s identification, when Judas, who, in an isolated position with respect to the other Apostles, receives a piece of bread from Christ and dips it in his dish. Leonardo, however, preferred the moment prior to this dominated by doubt. His is the first version of this theme with the Apostles displaying the human emotions of doubt, shock, fear, and anger through the expressions on their faces, the movement of their hands, and their body language, which contrast with Jesus’ calmness. It should also be mentioned that the daylight and unbroken bread confirm that it is too early for Judas to have been identified as the traitor. A wall panel in the entrance to the refectory explains: “Leonardo creates a sense of continuity between the actual space of the refectory and the painted space through an exceptional use of perspective, which has Christ’s right temple as its vanishing point; all the lines of perspective in the composition guide the viewer’s eye towards Jesus’ face, the narrative center of the work.” Leonardo’s early ideas, both notes and preparatory drawings, for this painting are illustrated in a sheet of figure studies, no. 12542r, conserved in the Royal Library at Windsor Castle. Another first is that Leonardo’s Judas is not seated as is customary with his back to the viewer and, unlike the other well-lit Apostles, is in a shadow. He is also holding a purse. Although he would not yet have received the 30 silver coins, he was the treasurer for the Apostles. Until The Notebooks of Leonardo Da Vinci were discovered during the 19th century only Judas, Peter, John and Jesus could be positively identified. The painting contains several references to the number 3 or Holy Trinity. The Apostles are seated in groups of three: to the left of Jesus (from the viewer’s point-of-view): Bartholomew, James the Lesser, and Andrew; Peter, Judas Iscariot, and John; to the right of Jesus: Thomas, James the Greater, and Phillip; Matthew, Judas Thaddeus, and Simon the Zealot; there are three windows behind Jesus; and the shape of Jesus’ figure resembles a triangle. 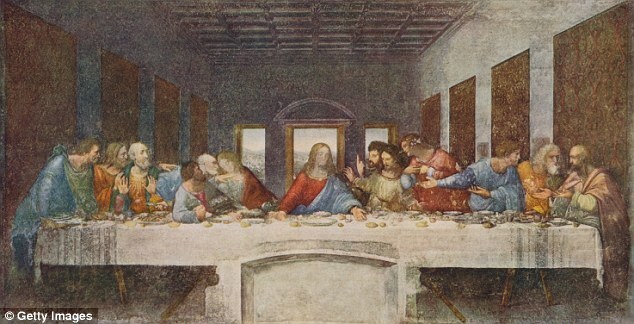 Also unique to The Last Supper is the medium Leonardo, always the inventor, used. According to Wikipedia, “he painted it on a dry wall rather than on wet plaster, so it is not a true fresco. Since a fresco cannot be modified as the artist works, Leonardo instead chose to seal the stone wall with a layer of pitch, gesso, and mastic, then paint onto the sealing layer with tempera.” Because of the method he used so that he, a known procrastinator with a marked tendency to leave projects unfinished, could make changes, his masterpiece began to deteriorate after a few years. The only evidence we have of what the original painting looked like is a 16th-century oil canvas by an unknown artist, in approximately original size, now housed in the Premonstratensian monastery, founded in 1128, at Tongerlo in Westerlo near Antwerp in Belgium. The copy reveals many details that are no longer visible in the original fresco, in particular the food, the room’s décor, and landscape. Between 1809 and 1814 the Roman mosaic artist Giacomo Raffaelli made another life-size copy, commissioned by Napoleon and now in the Viennese Minoritenkirche. In 1517 Don Antonio de Beatis is the first to testify that Leonardo’s painting “is already beginning to be damaged.” Some 50 years later, in 1566, Leonardo’s biographer Giorgio Vasari in his Lives writes: “Of the original by Leonardo(…) one can now perceive only a glaring stain.” A century later the Dominican fathers enlarged the door at the center of the wall that connected the refectory to the kitchen, which, although later bricked up, is still visible. It eliminated the part that depicted Christ’s feet, which, through early copies, were supposedly in a position symbolizing his forthcoming crucifixion. Further damage was done in 1768 when a curtain was hung over the painting to protect it; instead it trapped moisture on the surface, and whenever pulled back, scratched the flaking paint. In 1722 an English traveler testified that the rough wall was visible in various parts of the “fresco”. In 1799, when Napoleon’s troops turned the refectory into a stable and barn, the painting suffered still further vandalism. The soldiers passed their free time throwing stones at the painting and climbed ladders to scratch out the Apostles’ eyes. In 1812 the monastery of Santa Maria delle Grazie was used as a headquarters by the fire brigade and subsequently as a military barracks. In 1934 the refectory became a state museum, while the church and the cloisters were returned to the Dominicans. During the Second World War, on the night of August 15, 1943, a bomb struck the cloisters, causing the collapse of the refectory’s vault and its east wall. The Last Supper was saved from bomb splinters thanks to sandbags put in place at the start of the War. After a long period of “open air”, the collapsed parts of the refectory were rebuilt in 1947. 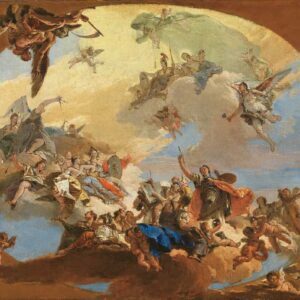 A first restoration was attempted in 1726 by Michelangelo Bellotti, who filled in missing sections with oil paint and then varnished the whole mural; many others followed over the next two centuries. By the end of the 1970s the painting’s appearance had so badly deteriorated that from 1978 to 1999 Pinin Brambilla Barcilon guided a major restoration project, which, in a sealed climate-controlled ambience, undertook to stabilize the painting permanently and reverse the damage caused by dirt, pollution and the misguided 18th and 19th century restoration attempts. On May 28th, 1999, the painting was put back on display and in 1980 UNESCO made the Santa Maria delle Grazie complex and The Last Supper a World Heritage site. Perhaps because of its deteriorated state, Leonardo’s Last Supper has been the target of much speculation by historians and writers, usually centered around purported hidden messages within the painting. 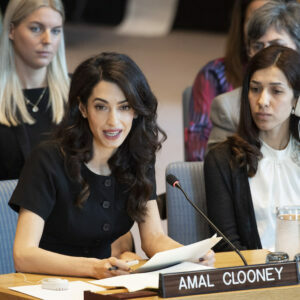 1) The Templar Revelation (1997) by Lynn Pickett and Clive Prince and The Da Vinci Code (2003) by Dan Brown both identify the person seated at Christ’s right hand not as John the Apostle, but as a woman, and none other than Mary Magdalene, who supposedly bore Christ as child after his death. It’s true that beardless John looks quite effeminate, but he was much younger than the other Apostles except for Phillip and maybe Matthew, both of whom are beardless here too, while the others all have beards. Moreover, The Bible never mentions Mary Magdalene as present at the Last Supper and if John is Mary, then where is John? 2) According to an article by Matthew Moore published on July 30, 2007 in The Telegraph Slavisa Pesci, “an information technologist and amateur scholar”, superimposed Leonardo’s version of The Last Supper with its mirror image (with both images of Jesus lined up) and claimed that the resultant picture has a Templar Knight on the far left, a woman dressed in orange and holding a swaddled baby in her arms to the left of Jesus, and the Holy Grail in the form of a chalice in front of Jesus. With the naked eye no chalice is visible, although Jesus’ left hand is pointing to the Eucharist and his right to a glass of wine. 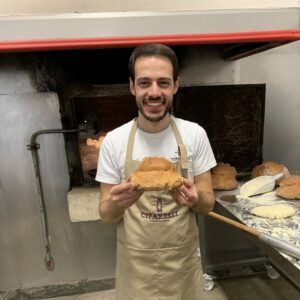 3) Giovanni Maria Pala, an Italian musician, has indicated that the positions of hands and loaves of bread can be interpreted as notes on a musical staff, and, if read from right to left because Leonardo was left-handed, form a musical composition. 4) Reported by correspondent Richard Owen in an article, “Da Vinci ‘predicted the world would end in 4066’ says Vatican researcher”, published by the London Times on March 15, 2010, is the most far-fetched of all theories. Sabrina Sforza Galitzia claimed to have deciphered the “mathematical and astrological” puzzle in Leonardo’s The Last Supper. She said that Leonardo foresaw the end of the world in a “universal flood”, which would begin on March 21, 4006 and end on November 1 the same year. Leonardo believed that this would mark “a new start for humanity”. Leonardo’s Last Supper is open all day Tuesday to Sunday from 8:15 AM to 7 PM with a maximum group of 25 people admitted every 15 minutes. Closed Monday, January 1St, May 1st, and Christmas Day. A same-day ticket costs 8 euros. Epilogue: If you can’t make it to Milan, in Room VIII of the Pinocateca in the Vatican Museums there’s a Flemish tapestry of the Last Supper designed by Raphael and in Raphael’s loggia on the second floor of the Apostolic Palace one of the frescoes executed by Raphael’s workshop from 1517-19 is of the Last Supper. One of the frescoes on the northern wall of the Sistine Chapel devoted to scenes from the life of Jesus and painted by Cosimo Rosselli (1431-1507) in 1481-2 also depicts The Last Supper. There are several modern renditions of The Last Supper in the USA. In 1955, Salvador Dalí painted The Sacrament of the Last Supper. It is reputed to be one of the most popular paintings in the National Gallery of Art in Washington D.C. Sculptor Marisol Escobar was inspired by Leonardo’s Last Supper. Her work is in New York’s Metropolitan Museum of Art. In 1986 Andy Warhol was commissioned to produce a series of paintings based on The Last Supper. 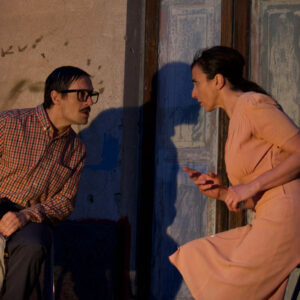 They were first exhibited in a bank across the street from Santa Maria delle Grazie. This was Warhol’s last series of paintings before his death. Landscape drawing of Arno River Valley. In addition to the two mentioned above, in 2019 Italy will host several others in honor of Leonardo and his vast variety of achievements. John Hopper’s article, “Exhibits Mark 500 Years of Leonardo da Vinci, the Original Renaissance Man”, published in The Wall Street Journal on October 31, 2018, provides a list. From March 8-July July 24 Palazzo Strozzi and Museo Nazionale del Bargello will house “Andrea de Verrocchio: Sculptor-Painter of Renaissance Florence. Works by Leonardo’s Master.” The first ever monographic exhibit on Verrocchio, it will display some 40 paintings, sculptures, and drawings by Verrocchio and include works created with or by his students Leonardo da Vinci, Lorenzo di Credi and Domenico Ghirlandaio. A version of this exhibit will travel to the National Gallery in Washington, D.C., where it will be on display from September 29, 2019-February 2, 2020. From April 15-October 15 the Museo Leonardino, located in his home in Vinci, will house an exhibition which links Leonardo work to the local landscape. 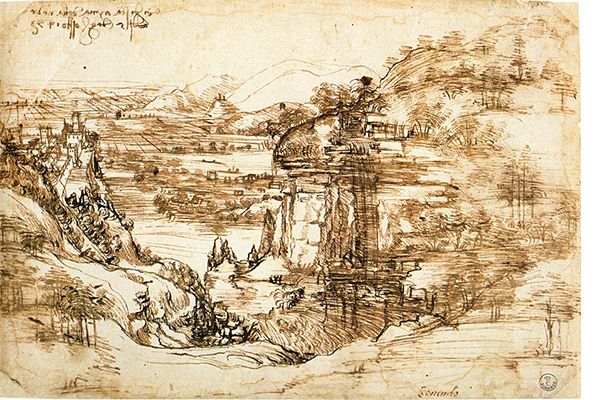 Until May 26 it will include his earliest surviving drawing (Landscape Drawing for Santa Maria della Neve) of the Arno River Valley and the mountains of Montalbano. Dated August 5, 1473, this ink and pencil sketch will be loan from the Uffizi, where because of its fragility it’s seldom exhibited. On May 2 the Sforza Castle in Milan will open the newly restored Sala delle Asse. The Castle will also house two exhibitions: one about Leonardo’s Milan and one of Leonardo’s designs for the Sala delle Asse. Outside of Italy, besides the Louvre’s blockbuster on until February 24, 2020, already on display until January 6, 2019 at the Teylers Museum in Haarlem, The Netherlands, are 30 Leonardo drawings, including three studies for the Last Supper. Starting on February 1 until May 6 twelve locations across the United Kingdom will house on rotation an exhibition of 144 drawings from the Royal Collection: “Leonardo da Vinci: A Life in Drawing”. Exhibitions of the same title but with 80 drawings from the Royal Collection will be held from November 22, 2019-March 15, 2020 at The Queen’s Gallery in the Palace of Holyrodhouse in Edinburgh, Scotland and from May 24-October 13, 2019 in The Queen’s Gallery in Buckingham Palace with 200 drawings. It will be the largest exhibition of Leonardo works in 65 years. An article, “2019, l’anno di Leonardo”, by Gastone Salentich published in National Geographic Italia on November 29, 2018 lists many others to take place in Turin, Milan, Florence and elsewhere in Tuscany, and in Rome. The Young Lady with a Fur. My article, already long, would have ended here. I was about to submit it, when that same evening, January 3, I received an e-mail from the Comitato Nazionale per la Valorizzazione dei Beni Storici, Culturale e Ambientali (National Committee for the Evaluation of Historical, Cultural and Environmental Patrimony) inviting me and the other several hundred members of the Foreign Press Association to a press conference there yesterday, January 8th. The conference’s subject was the re-emergence and authenticity of a painting by Leonardo, “The Young Lady with a Fur”. 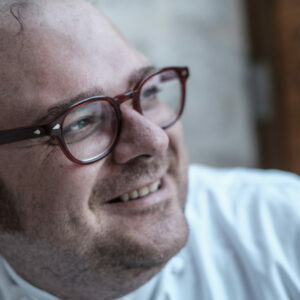 Its main speaker was historian and author Silvano Vinceti, the Founder in 2002 and still President of the Committee, which up-to-now was preoccupied with reconstructing the appearance of Petrarch, Pico della Mirandola, Caravaggio, and Leopardi among several others from their remains. 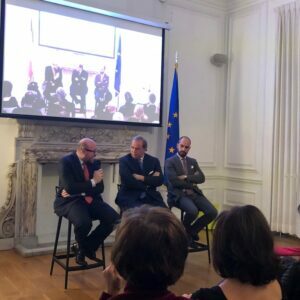 Vinceti’s theses were supported by art historian and court-authorized expert art historian Marco Castracane seated beside him. 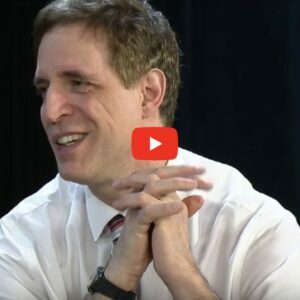 Vinceti went on to explain his involvement, saying that last year he was contacted by an attorney in Zurich, a liaison for the German owner, who’d expressed interest in selling the painting. However, when Vinceti arrived in Zurich to see the painting, which is in the caveau of a bank there, the owner rescinded the offer to sell. At that point the only concession the owner made was that Vinceti could publicly announce the existence of the painting and that it was certainly by Leonardo. At this point Vinceti insisted, that although he had not seen the painting, many distinguished experts had. 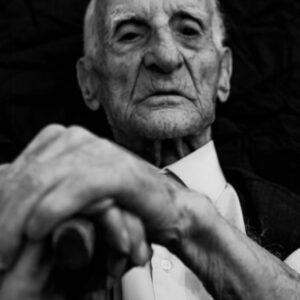 These included Adolfo Venturi, Professor Dr. Ed. Fischer, Professor Zimmermann and Dr. Stangel (all in 1967), the restorers Professor Stube and Beate Strube-Bischof (in 1977), and more recently Professor E. Ullmann from Leipzig and Professor Ingo Sander from Cologne (in 2000) and Professor Carlo Pedretti (2002). They all agreed in writing that it was by Leonardo. 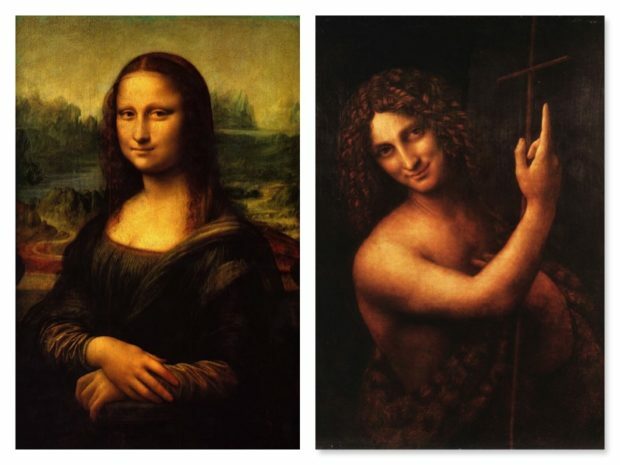 In addition to the experts’ opinions and numerous scientific examinations such as x-rays and infrared reflectography as proof of the paintings authenticity, Vinceti listed its several similarities to other works by Leonardo: the young lady’s and the Mona Lisa’s enigmatic smile, the similarity of their landscapes (the actual place still not identified), and of their landscapes to the one in Sebastiano del Piombo’s “Portrait of a Young Roman Woman”, painted after he’d seen Leonardo’s painting when they both worked in Rome (1513/4), and the young lady’s and the Mona Lisa’s eyes and melancholy expression, and the position of the hands here and in Leonardo’s “Lady with the Ermine”. 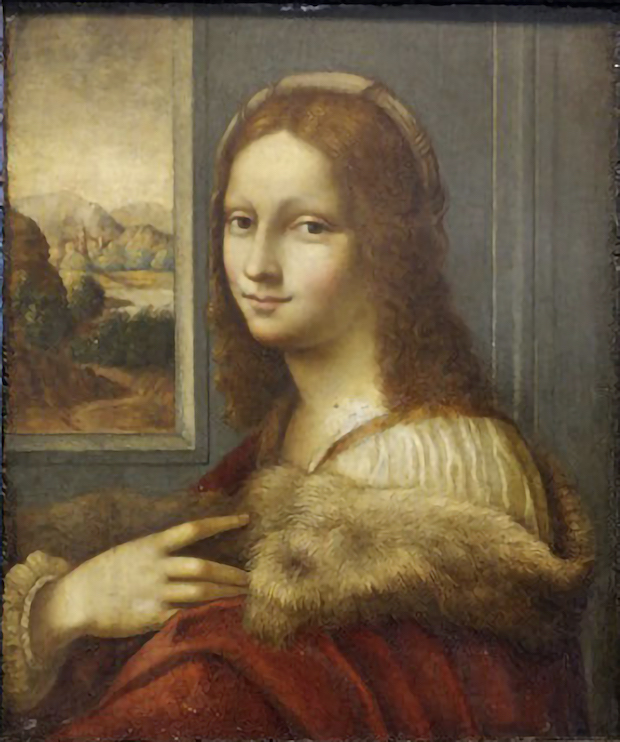 Lastly but no less important is the whiteness and luminosity of this “The Young Lady with a Fur”’s skin, which is unlike any other painting of his contemporaries because Leonardo and only Leonardo experimented with lead carbonate or hydrocerussite, which he also used in his first “Madonna of the Rocks” (1483-5). 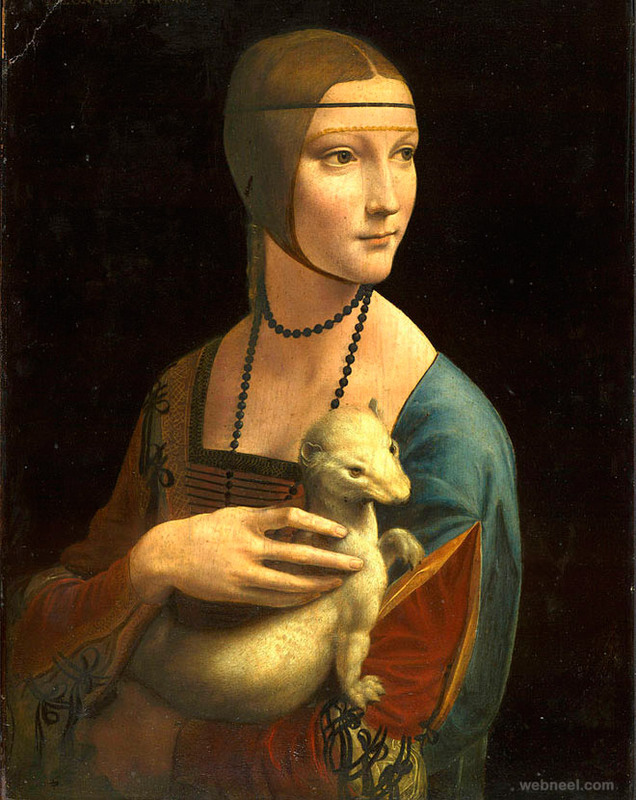 After Vinceti’s initial disappointment of no sale, he still hopes that his efforts of bringing Leonardo’s “The Young Lady with a Fur” to world attention will not be in vain. On the contrary he hopes they will persuade the owner to lend the painting, which has always—so for more than 500 years—been in private collections, to one of the many anniversary exhibitions in Italy and, if not in Italy, at the Louvre. For, even if a photograph of “The Young Lady with a Fur” has been on the Internet since 2014, the painting itself has never been displayed in public. Dr. Vinceti strongly believes that such masterpieces should not disappear into Swiss bank caveaus; that, instead, they should be made available, at least during special occasions, for public display and enjoyment.